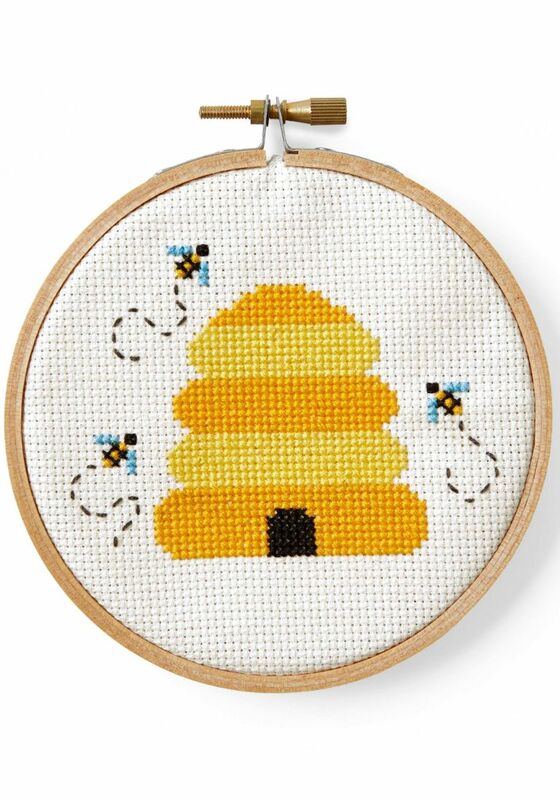 I have friends, a husband and wife, who cross stitch together. They buy the beautiful kits with thousands of stitches and when it’s complete, it is a work of art. I love that they have a craft they do together, and that they give to their families as a gift. Unfortunately for me, I don’t have the time or patience to undertake such a project. I’m the type of person who will freehand designs or follow a small design, but beyond that, you can forget it. There are some small kits available, but I often find them expensive, and instead have to make up my own patterns as I go, which can go well until I get confused about which color I want where, how big the final project will be, and exactly how to get the shape I’m going for. That’s where Country Living comes in and saves the day. 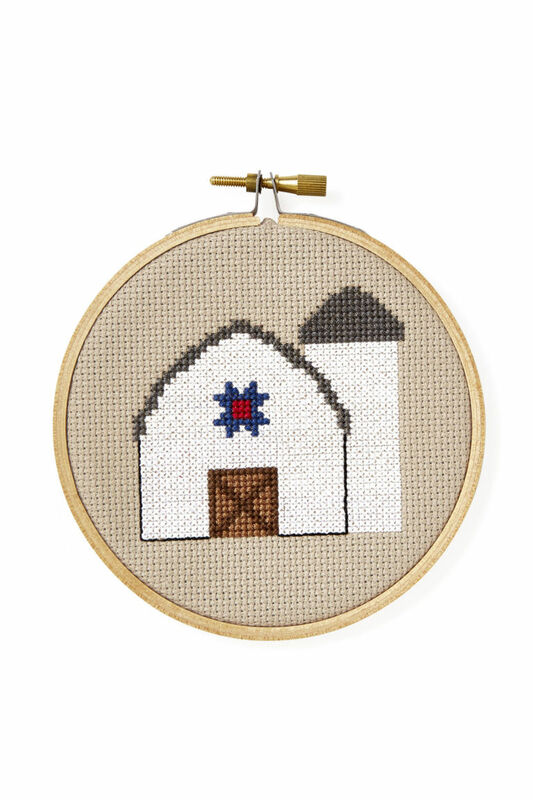 I wasn’t aware that Country Living had such a thriving craft section to their website, but after scrolling through several patterns, I got really excited about the possibilities. These are smaller, more manageable patterns, easy to print out on your home printer, and simple enough that you won’t need two dozen different shades of the same color. Whether you’re looking for vintage inspiration, cute ideas, or more modern projects, Country Living has it all. 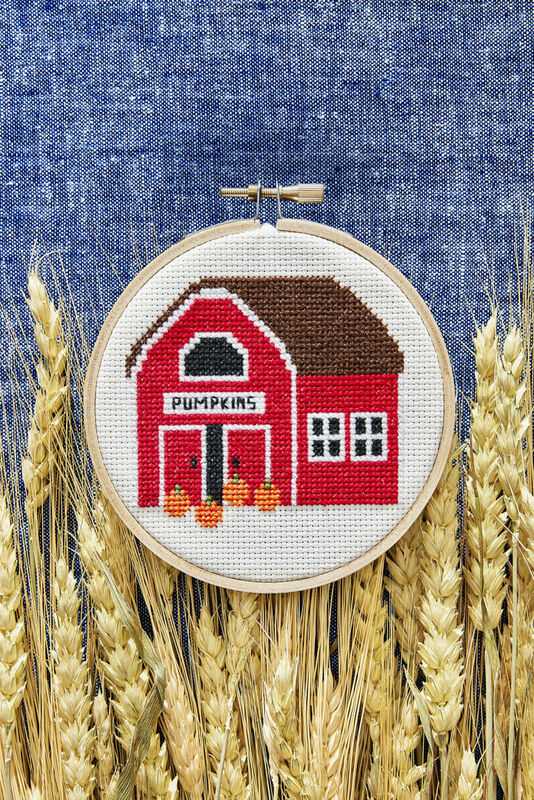 There are several Americana projects, such as a red barn, a white silo, and vegetation like trees with autumn foliage or various seeds and nuts. 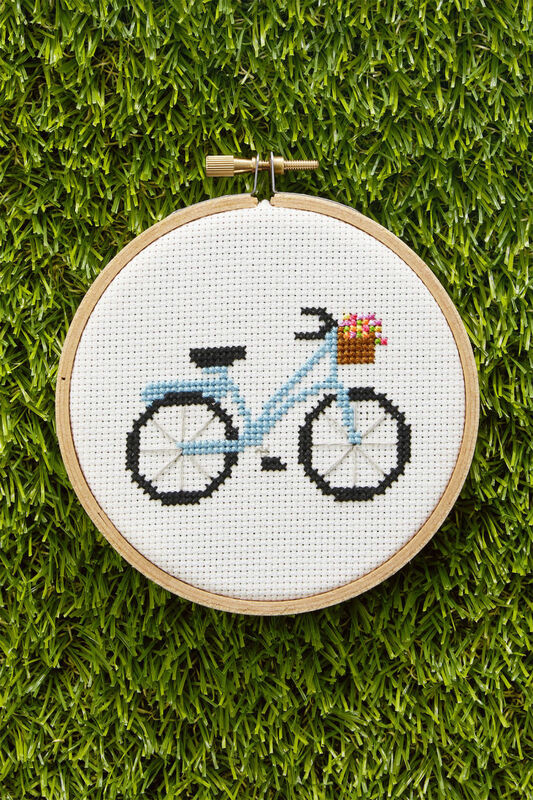 There are patterns with a summer vibe, like the bicycle and glass of lemonade. There are also unique patterns like oars, china patterns, and a cute little mailbox. Also available are animals, holiday patterns, and a map of the United States in miniature. If you can think of it, Country Living probably has a pattern for it. 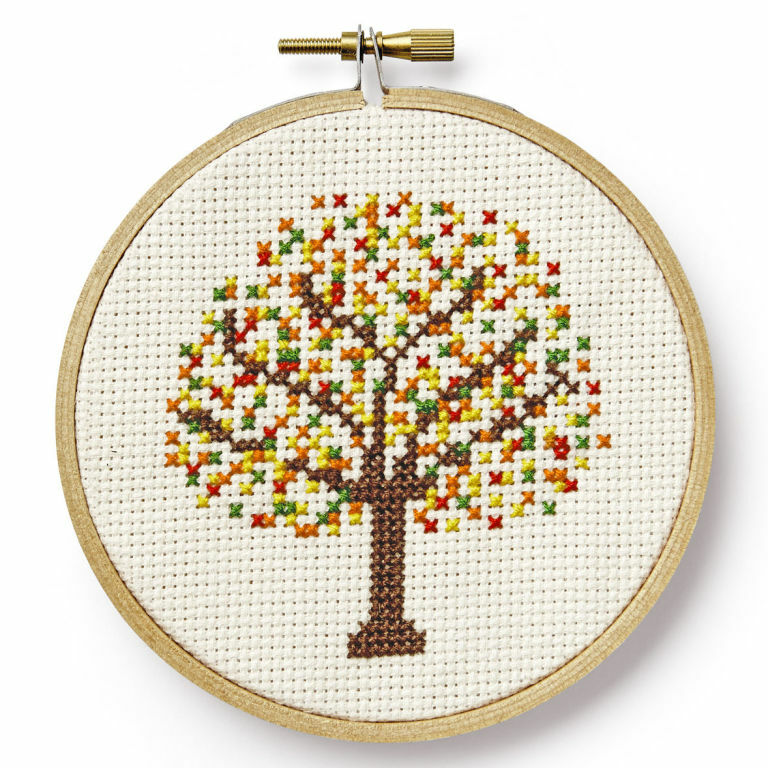 This might be a good way to try out something new, something a little more challenging for yourself, like using different colors of fabric, or adding seed beads (the autumn leaves would look gorgeous with glass beads added in), or even buttons, lace, and ribbon. 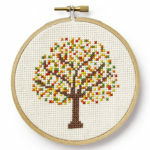 You could even add embroidery techniques, such as knots, various types of stitching, and single color embroidery thread. A simple pattern means you can tailor and embellish to suit your own inclinations without having to worry that you’re going to mess it up somehow and have to take it out or, heaven forbid, start over. 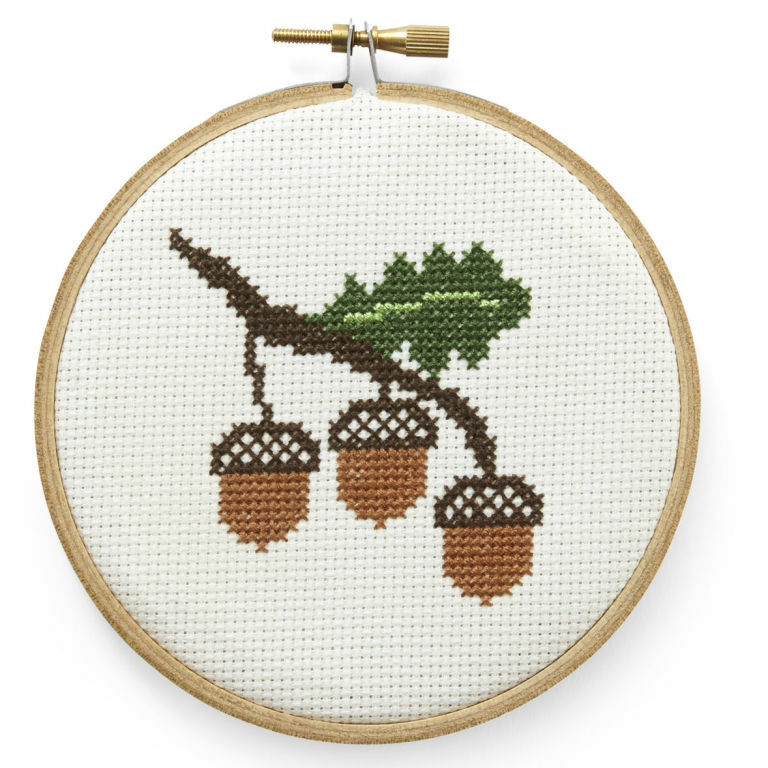 If you’re interested in trying out one or more of these adorable cross stitch patterns, you can view a library of them by visiting Country Living’s website (see a sample of their offerings down below). 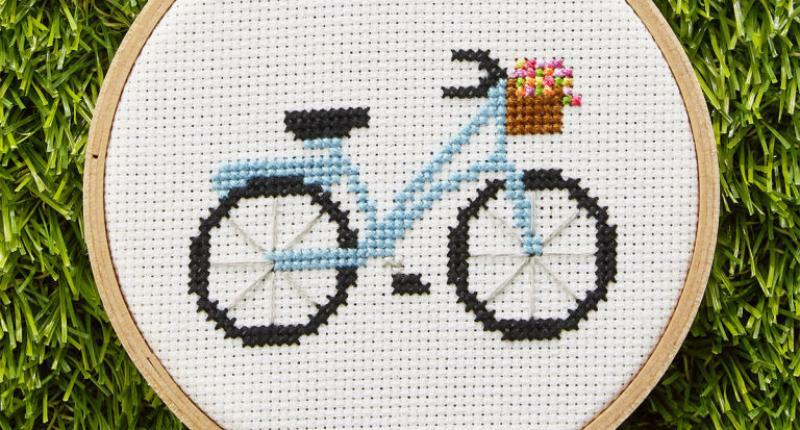 I particularly love the bicycle, the glass of lemonade, and the tree with autumn foliage. Be sure and look at the other subjects Country Living posts about, because there are several other topics that might be of interest to you, including other crafts, food and drink, holiday decorations, and house/intererior design. Their photos are all pinnable (if you use Pinterest), and you can follow them on various social media including YouTube, Instagram, Facebook, and Twitter.